If your blog is just getting started, or if you’ve been running it for a while but have reached a point of stagnation, you’ll need something to kick-start it back to life. The idea is to take a new direction, or produce something new that has the power to revitalize interest among your core followers and simultaneously reach out to new ones. An interview with an influencer has the power to do this—but there’s a right and a wrong way to go about it. At first, you might be tempted to delve into the world of paid advertising. Pay-per-click (PPC) models guarantee that you’ll get some new traffic, so as long as you have keywords and headlines that target your key demographics, you can be assured you’ll get new eyes on your material. The trouble is, these types of campaigns can get expensive, and there’s no guarantee that the visitors you get will like your content enough to stick around. If you feel your content is lacking, you could also rebuild your blogging strategy from the ground up. This is the only option if your content is truly the root of the problem, but is an exhaustive effort you should avoid unless you absolutely have to pursue it. Minimal prep time. It doesn’t take long to prepare content for an interview. You’ll need to do some research and write up the questions, but the influencer you interview will be the one providing the detailed answers. Medium flexibility. Interviews are also strong pieces of content because they can work with almost any medium. 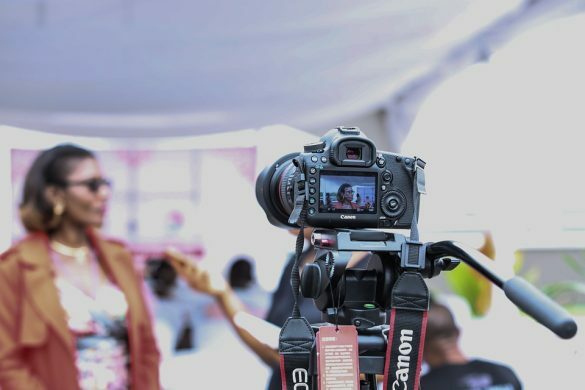 You can record your interview as a video and release it as audio-only content (such as in podcast form), and still release a written transcript to maximize your audience exposure. Influencer audience crossovers. Influencers already have an audience of 10,000 followers or more, and they’ll be incentivized to share the interview when it’s published. That means you’ll get instant exposure with a new market segment. New knowledge. Don’t forget, this interview is also an opportunity for you to learn more about your industry; ask the right questions, and you’ll get some awesome ideas for new blogs in the future. Future opportunities. This need not be your last interview with an influencer. The more you conduct, the more professional you’ll appear, and the easier it will be to get similar opportunities in the future. So what can you do to make sure your interview goes smoothly? Look at other examples. First, make sure you look at other examples of influencer interviews like this one by Georgian Jewelry, this one by TechWyse, or this one by Khan Academy. Take note of the types of questions they ask, their disposition, things they did well, things they bombed, and how their audiences reacted. Choose the right influencer. Next, do some due diligence to find the right influencer to interview. You want someone popular, with a significant audience, but not someone so popular that they’re unreachable. The closer they are to your industry, the better. Focus on building a relationship. Don’t just ask for the interview and be done with it. Work on building a relationship with this person. Get to know them, and offer to help them out with any favors that you can. If you do this well, this may not be a one-time opportunity. Give yourself ample prep time. One of the advantages of doing an interview is the minimal time necessary to produce one, but that doesn’t mean you can cut corners. Give yourself plenty of time to prepare yourself for the interview. Syndicate. Once complete, invest some time and energy into syndicating the interview; post it across your social media channels, and link to it in offsite content and on user forums. The more attention you can drum up for it, the better, so work it into your ongoing re-syndication schedule as well. With these tips, you’ll be able to conduct an influencer interview that appeals to your existing audience and captivates a new one. Even better, it will give you experience you can apply to your interview efforts in the future, so you can keep growing and reinventing your content strategy until you’ve achieved the level of success you desire. This is such a clever way to getting more exposure for your blog. This is a strategy that has been proven to work over the past few years. This is similar to the roundup post strategy where you interview a bunch of influential people in your niche and leverage the power of everyone sharing it with their audience. These are great tips on this strategy!